When you find a good mud cake recipe, you keep it. This one is definitely a keeper for me. 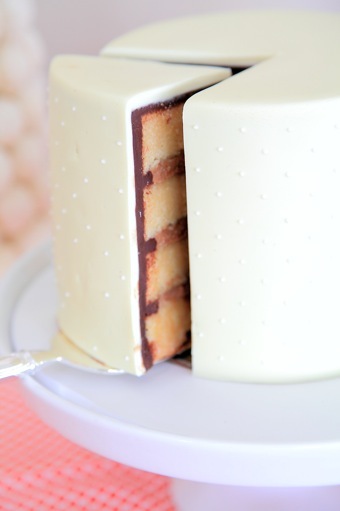 It’s great for weddings, carving cakes, and most of all, it’s delicious! Being a cake decorator is one thing. Being able to create a cake that tastes even better than it looks, is what will keep your clients coming back for more. I created this version with mocha buttercream, and I have to say, the mocha truly is the perfect match. You can pair this with white or dark chocolate ganache, and it lasts for up to 4 days. Winner winner chicken dinner! Try this recipe for yourself, and let me know what you think. In a small bowl, lightly beat eggs and add the sour cream. Add cocoa and coffee and stir until combined. Is there any way you can have your recipes in cups? Especially for this one? I’m slowly trying to convert from cups to ounces and grams, since there are three different measurements for what is one cup, from Australia, US and UK. I add more SR flour and less plain, exchange 1/4 cup if you still want them super dense, or 1/2 for a lighter version. Are the cup measurements in your recipe the US cup or one of the others? yes! I’ve done 6 batches in one at the bakery no problem.